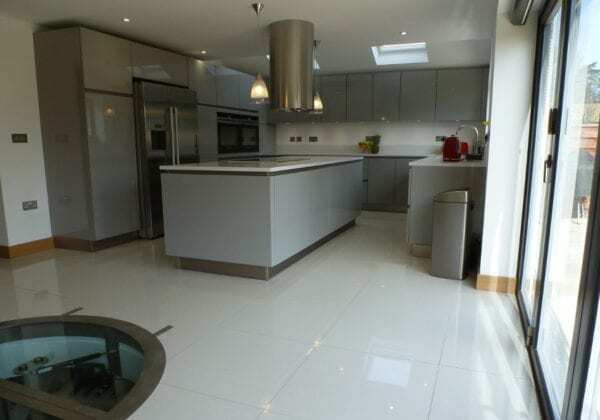 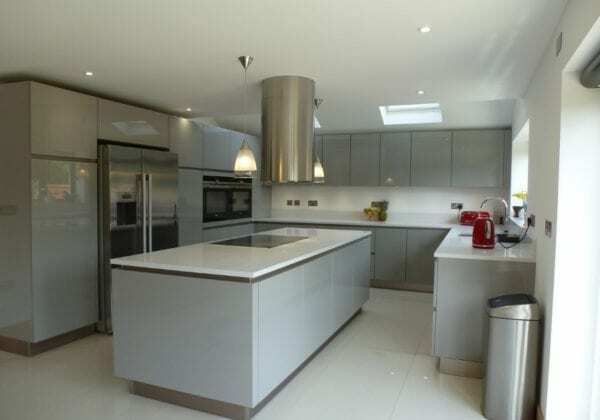 From our Next125 range, Stone grey in high gloss lacquer finish combined with quartz worktops with 100 mm upstand. 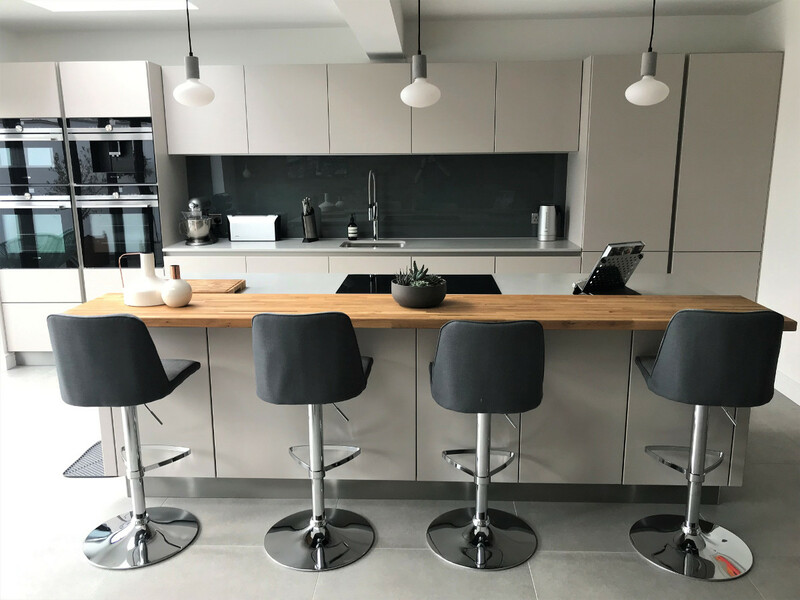 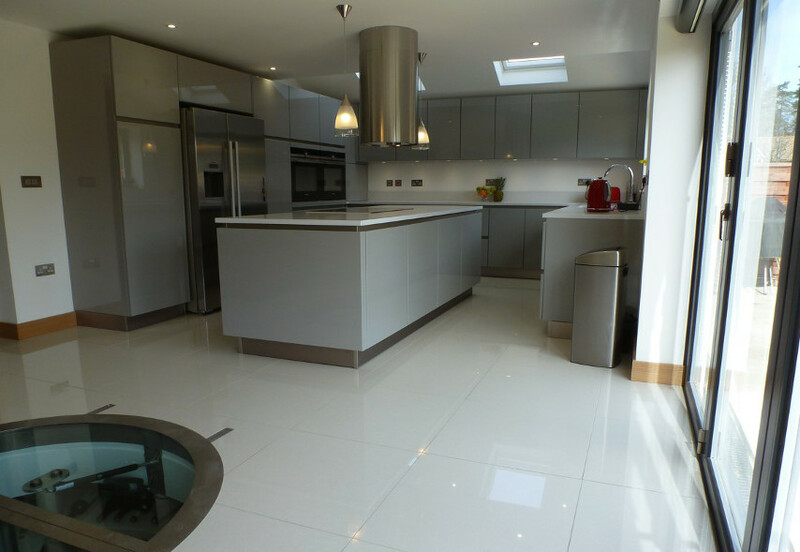 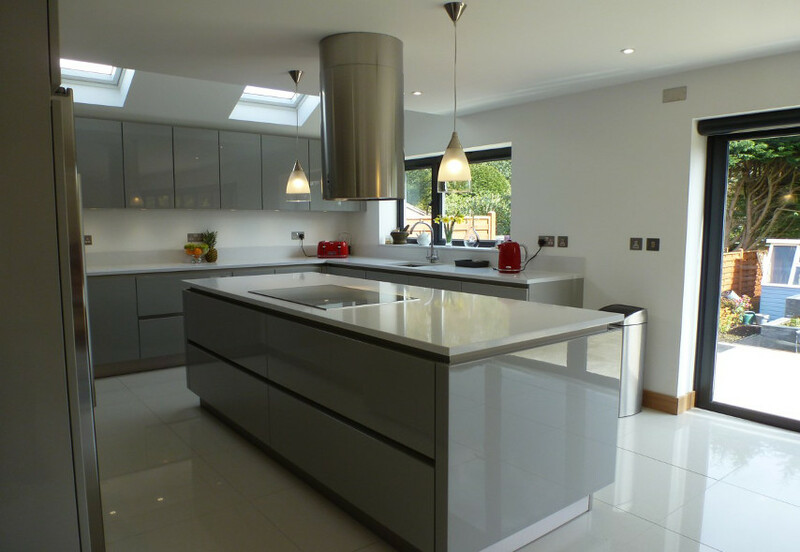 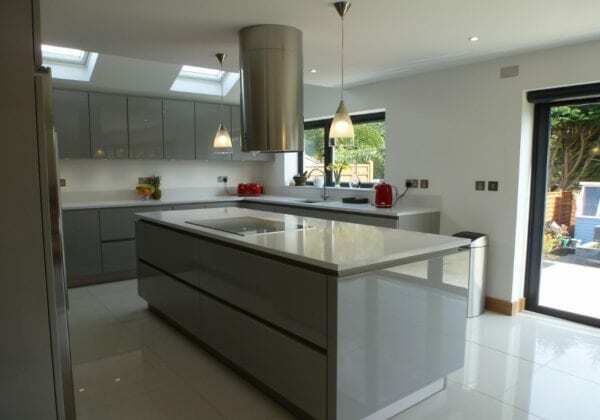 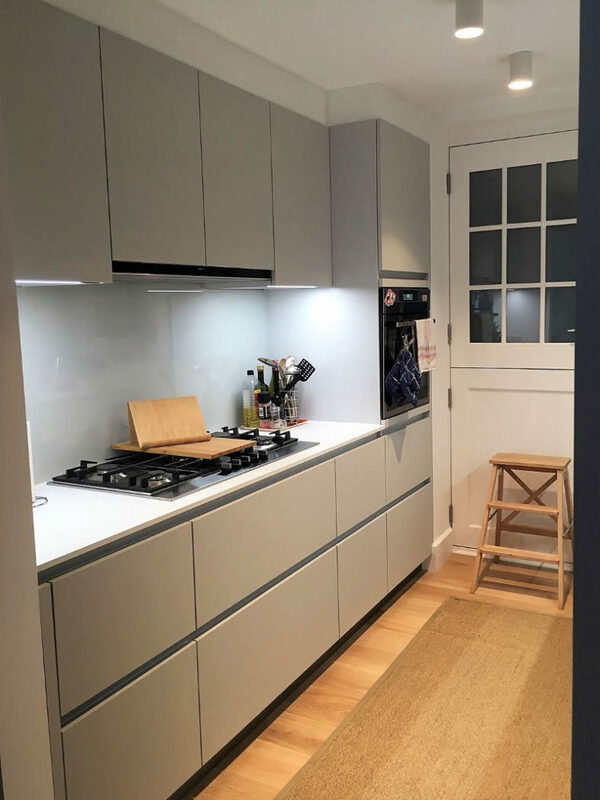 Jacqui chose gloss wrap-around panels on the island as opposed to end panels and the ceiling hung extractor is a feature piece which sets off the overall look of the design really well. Sorry it’s taken me so much time to get back to you ….. attached are some photo’s which give you an idea of what our kitchen looks like.